Traditionally, Plex has been all about local media. It collects your movies, TV shows and other videos you acquired through legitimate sources. It then sorts them all nicely and presents them with a slick interface that makes sense. After a painless setup, it streams these videos to your Smart TV, your phone, a game console, whatever. This week, Plex wants it known that they’re not just going to be the home for old recordings of Xavier: Renegade Angel. With Web Shows, Plex also wants to be your home for video essays about why Xavier: Renegade Angel was so weird. Kidding aside, Web Shows looks to elevate YouTube-style content to the same level as your local film collection. The team at Plex curate shows from proven content creators, including TWiT, Epic Meal Time, PC Gamer, and more. 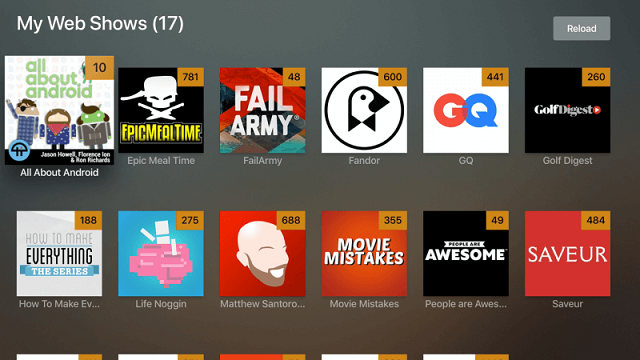 This builds on top of Plex’s recent addition of podcast support. Of course, this provides a similar curated experience to give you only the best audio programs. All told, Plex states that they’ll have 19,000 videos to watch at launch, covering 67 different shows. They’re also looking to bring more creators onto the platform over time, so feel free to petition for your favorite potato chip reviewer or prank artist. There’s always a chance they’ll sit alongside GQ in Plex’s listing, perplexing perspective viewers for years to come.